Hi Tom. Where is Ripkowski now? I don't think he hooked on anywhere. Tom are Bulaga and Graham on this roster next year? What about that annual best player available rhetoric? Not buying it, Tom? The more Murphy meddles the less confidence I have in the Packers turning things around. My best guess is these years will Ben looked on as great financially, less so on the field. Tom. Many reguard McCarthy as a great coach. But his record without Rodgers starting is not good. Your thoughts? I wouldn't characterize him as a great coach. He's a very good one. His record supports it. His work with Brett Favre and Aaron Rodgers supports it. You can say they carried him, but Favre was coming off a terrible year and had two really good ones when McCarthy arrived. McCarthy completely changed Rodgers' mechanics and constructed an offense that allows him to do all the things he likes to do. The black mark on his resume is getting close to the Super Bowl but not making it. Ah, if you have to call to unsubscribe. I apologize. You should be able to do it online. I wish I controlled that. I get it if that's too much of a hassle to subscribe. Tom, don't know if you have the stats to support this, but seems to me Rogers is better under center than shotgun. Your observation? I will have a chance to do that after the season. If I can get to it this season, I'll try. I would guess he's better under center because teams are honoring the run game when he's under center. It’s unreasonable to assume gute played an influential role in Thompson’s poor draft selections. Without asking him you don’t know if he wanted those players then or not. It’s an unreasonable conflation with zero evidence to back up. Can you list the Packers inactive list? Inactives are: King, Breeland, Brice, Carson, Greene, Light and Boyle. Tom, did Tonyan get more reps in practice this week? Unfortunately, we don't get to see that part of practice. Thanks Tom...all good. Broken stuff can be replaced and busted roads and bridges can be fixed. Thanks for the blog! Good point. I think he's part to blame for committing to these young backups who aren't any good. That's been one of his weaknesses, thinking he can make something out of the Graham Harrell's, Joe Callahan's and Brett Hundley's. And I think he's barking up the same tree with Kizer. Boyle, I like, however. If Thompson had stuck for rhe bpa mantra they might have been better off. Was obvious he was drafting for need last number of years. Good to see you back Silverstein... Saw your chat outfit this week and assumed you found a higher calling. Anyway, we are with you, Father Tom. Tom, surprised to hear you think Graham will be gone next year. What contract did he sign and where do you think they will go at TE then? He has a $10 million roster bonus in March that will force them to make a decision. They need to go with someone younger and faster. OK, national anthem and moment of silence. 34 degrees, 20 mph wind, 23-degree wind chill at Lambeau Field. Winds are expected to gust 30 to 35 mph as the game goes on. Cardinals call tails. It's tails. Arizona wins and will defer. Packers will receive. Might be our first look at Kumerow. Jamaal Williams is back for the first kickoff for the Packers. So what you’re saying is that the gusting winds mean David Johnson and Aaron Jones are going to get a lot of carries. Hello, everyone. I want to make a short plug for our subscription deal going on. 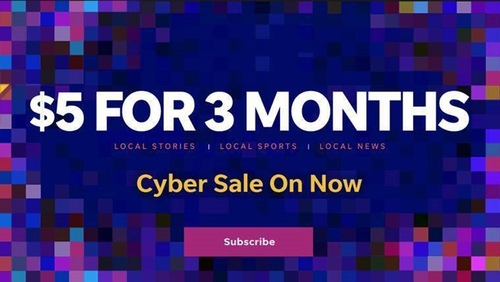 It's $5 for three months of unlimited coverage on PackersNews and JSOnline. Please consider it. You'll make me very happy. Williams definitely doesn't have Trevor Davis' burst. On the other and, he doesn't have his hamstrings, either. Arizona had just about every guy on the team in the box to start out. Choice between watching Bears or letting my wife watch Hallmark Channel. I choose Tom. Over or Under 3 that Rodgers is pouting again today? Empty set on third down. More scrambling, but Rodgers does get the first down. Cobb wasa on the field on the previous play. He's off now. A checkdown! What do you know?